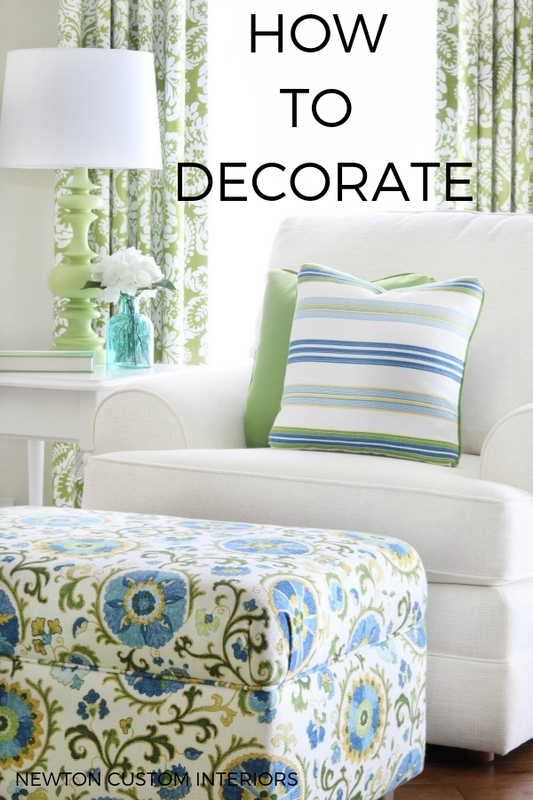 Learn how to decorate a room in your home without feeling overwhelmed! This step-by-step decorating process will help you create a home you love! Does trying to decorate your home, or a room in your home, seem overwhelming? Are you paralyzed by the thought of making an expensive decorating mistake? 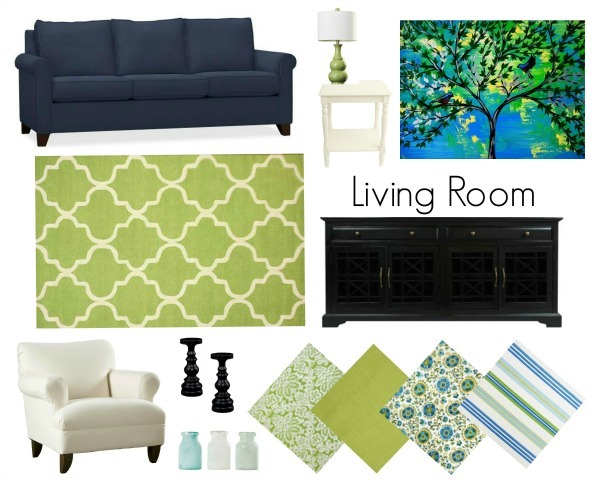 In this post, I’ll walk you through the process of how to decorate a room in your home. I’m going to show you step-by-step the decorating process that I use to decorate our home. I’ve created a video that shows how to decorate a room in six easy steps. I’ve also written out the steps below the video if you’d like to follow along. Empty the room of all items that you won’t be putting back in the room. This will help you get a feel for the room. It’s also a great time to go through the room and donate, sell or discard items that won’t be in the new room design. Find pictures of rooms that you love. 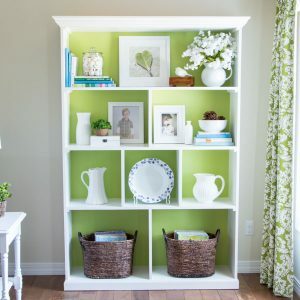 I like to look for inspiration pictures on Pinterest or Houzz, and in magazines. Pretty soon, you’ll notice a common theme in the rooms that you like. Maybe they’re all bright and airy with pops of color, or dark and moody? Or you might see a common color or style in all of the rooms you’re choosing. Creating a mood board of the items, paint and fabrics that you want to use in your room, will save you time and costly mistakes. It helps to pull all of your ideas together. To learn more about mood boards, and how to create one, click HERE. Make a floor plan of your room by taking measurements of the room and any pieces that will go back in the room. You can create floor plans on sites such as Planner 5d or SmartDraw. Or, if you’re old school like me, you can use graph paper to create your floor plan. It’s important to create a floor plan so that you know how much space you have to work with. You wouldn’t want to buy a king size bed, and have it not fit into your small bedroom! A floor plan will also help you decide where the furniture will work best in the room. Make a list of the items that you need for your room, including paint, fabrics, lighting, accessories and furniture. Make a budget. This is where you need to decide how much money you’re going to spend on each new item for the room. If you’re on a tight budget, you may want to consider DIY’ing some of the items on your list. 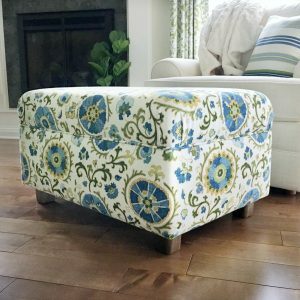 For instance, you may have a piece of wood furniture that could be painted to create a whole new look. Then it’s time to shop for the items that you need for the room. Be sure to spend the most money on items that you sit or sleep on. Such as couches, chairs and beds. When you shop for the items on your list, bring a measuring tape, and any paint or fabric samples to the stores. That way, you can measure the new furniture pieces and match to your paint and fabrics. Finally, the fun part! It’s time to put everything in the room. (After new flooring and painting is done – if needed). Only put items back in the room that you truly love. I hope you’ve enjoyed this how to decorate article. Let me know in the comments if it was helpful. happy decorating! You are so right. It does seem overwhelming but I love the way you showed an easy process to make decorating a room less stressful. Pinning for later. Thanks Patti! Yes, when you break anything down into simple steps, it seems to make the process so much easier! Great video, Jann! And I love your step-by-step tutorial! I always have trouble decorating and end up putting too much stuff in one room. This is a great way to do things by taking them out and putting back only what you love. Great tips and ideas! Thanks Mary! It’s hard to know when to stop decorating a room!